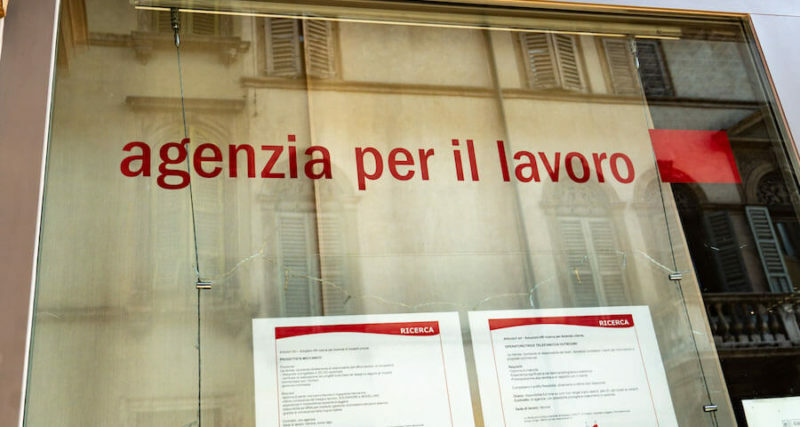 Home Blog How Competitive Is Italian’s Job Market? Before you begin working your way to foreign language fluency, it helps to understand the culture behind the language you’re learning. After all, language exists to help a group of people express their ideas and beliefs. Italy is an old country with a rich history and culture. As you begin your Italian language program, gaining a strong grasp on this history, the values, and the etiquette will help you rapidly achieve success. In particular, Italy has an exceptionally high rate of unemployment compared to the rest of Europe that has made it increasingly difficult to secure jobs. While the school structure is well planned out, the country still has some problems when it comes to the job market. Italy has a high unemployment rate of 12.9 percent. While the country is on the way back from the global economic collapse of the early 2000’s, it is currently a long way from where it was before the collapse. As of 2014, a whopping 42 percent of those who are listed as unemployed were under the age of 25. This is a major issue in the country, with more than a few politicians losing their jobs because they have not been able to fix the problem. Italy is not only seeing quite a few people migrate from the South of the country to the North, but a decent percentage of the population of people moving out of the country entirely. The unemployment problems are further exacerbated by the fact that the country does not have an unemployment benefits program like the United States. People who cannot find a job are usually simply out of luck. This is one of the reasons the country still has quite a few family businesses. When a parent retires, a child will take over that business. This is more out of necessity in order to pay rent or buy food than because they really love the job they have taken on. If there is a sector that is seeing greater success it’s the service industry. More young people than ever before are also looking to get into government. Sometimes this is because they want to change the status quo, other times it’s because they aim for a “poltrona” (“armchair”, Italian metaphor for a political position of power) with a steadypay check. Whether the arena is motor vehicles, clothing lines, consumable goods such as food and beverages, or electronics, “Made in Italy” is associated with positive characteristics. In the 1950s, something referred to as the “Economic Miracle” transformed a high number of Italian businesses, including the go-ahead family firm. Italy was the world’s fifth largest economy by the beginning of the 1990s, after the US, Japan, France, and Germany. However, Italy may be able to lay claim to an even higher ranking, due to unreported statistics and tax returns. This is called the black or “gray” economy, which is difficult to track with regard to statistics and readily accessible data. Nevertheless, if sales and revenue from the black or gray market could be added when ranking various countries for economic success, Italy may rank much higher than fifth place in the world.